A 2-day short-course titled "Mixed Signal IC Design" was hosted by Circuits & Systems Research Centre (CSRC), Dept. of Electronics and Computer Engineering, University of Limerick on 14-15th June 2018 at the Graduate Entry Medical School building. Prof. Blut's Mixed Signal IC Design Course. The course instructor, Prof. Klaas Bult, is a world-renowned distinguished lecturer, Broadcom Fellow, IEEE Fellow and multi-award winner at ISSCC. The course content this year was focused on Data Converters in SoC/Embedded environments with high-performance & energy-efficient targets. There was also two after-lunch guest lectures on state-of-the-art automotive topics: “AI & Autonomous Cars” and “Automotive Radar”. 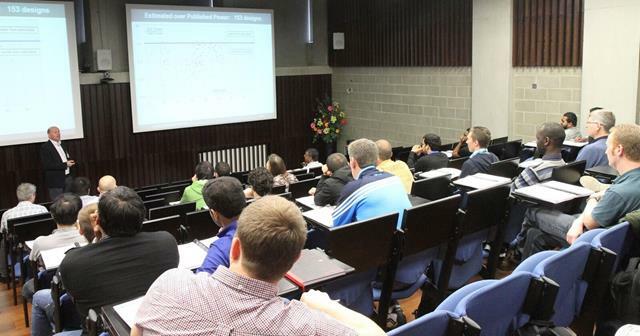 The two day seminar series attracted over 60 delegates from Europe and worldwide, from countries such as Spain, Portugal, India, England and Ireland.